This stop of the journey was Nepal, in search of a more intimate and solitary spirituality in an ancient capital renowned for its marvellous, mystical, higher state of being. A country where history, civilisation, and myths intertwine, Nepal places the traveller in cosmic time, perfect for exploring the soul and discovering one’s innermost self. Lillipur is a spectacular agglomeration of temples. Standing out among them is the incredibly beautiful Golden Temple. Here, in every corner, huge braziers burn with incense to aid meditation. 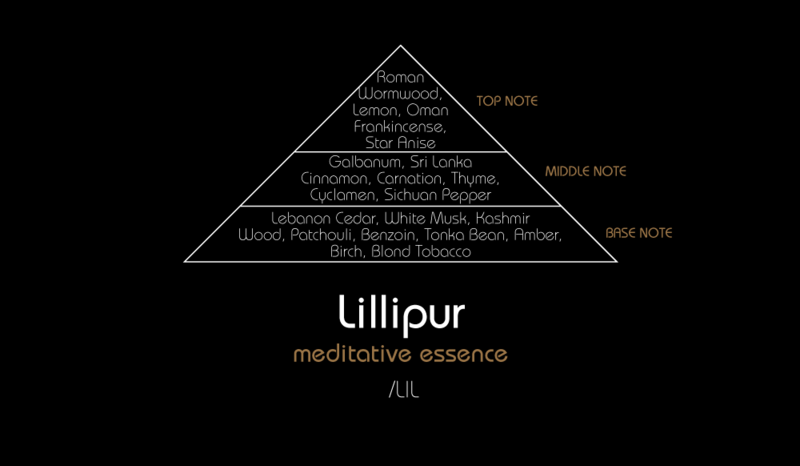 Lillipur is considered one of the most spiritual places on Earth! This trip was the inspiration for this perfume; in a precious gold bottle, it is filled with the transcendent spirit of the place. This perfume represents the Mystical Fire of the soul and profound understanding. The perfume expresses itself slowly to the wearer, i.e. the traveller; it accompanies them all day long in an intimate sensory experience, one which is continually unfolding. Every inward breath of the perfume is a step closer to one’s true self.